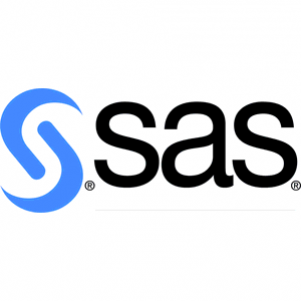 Corporate Fun Day With SAS Software Ltd. 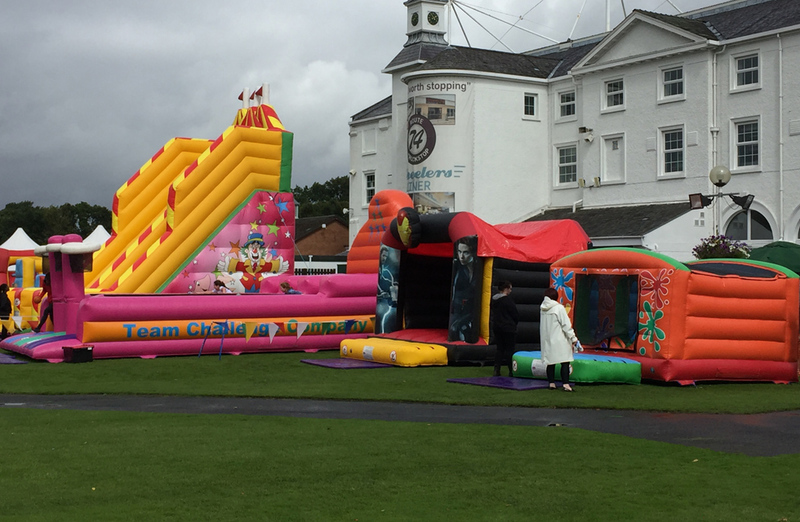 Team Challenge Company had the pleasure of hosting a corporate fun day for SAS Software LTD at Hamilton Park Racecourse on Saturday 19th August 2017. 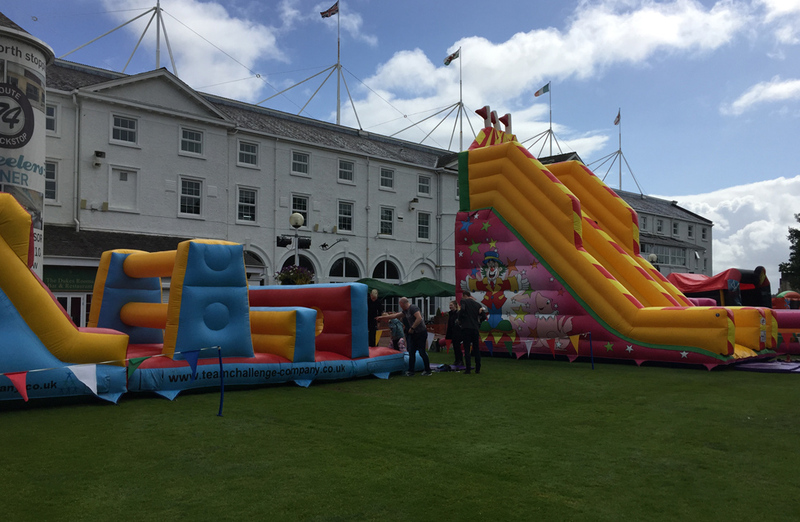 The grounds of the Racecourse were the perfect setting for a day filled with fun, food and great company. Children and adults alike were excited to have their faces painted. 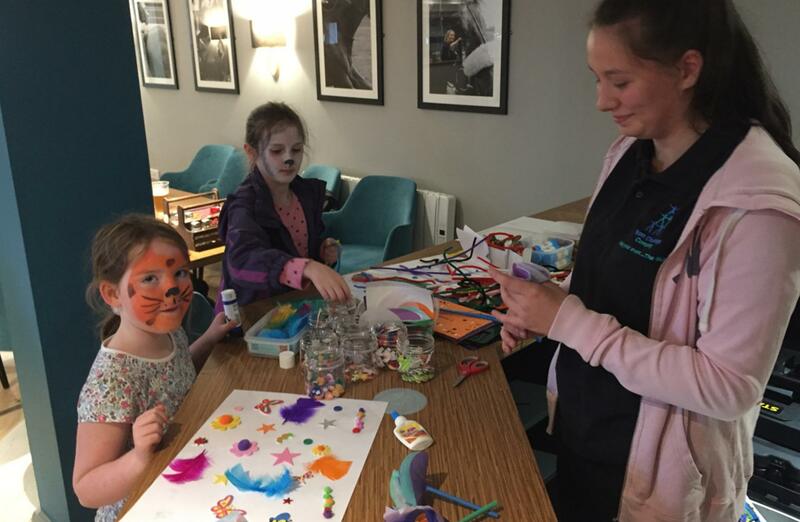 There were dragons, dogs, Dracula’s and Spiderman who made an appearance throughout the day as children were transformed by the face painter. 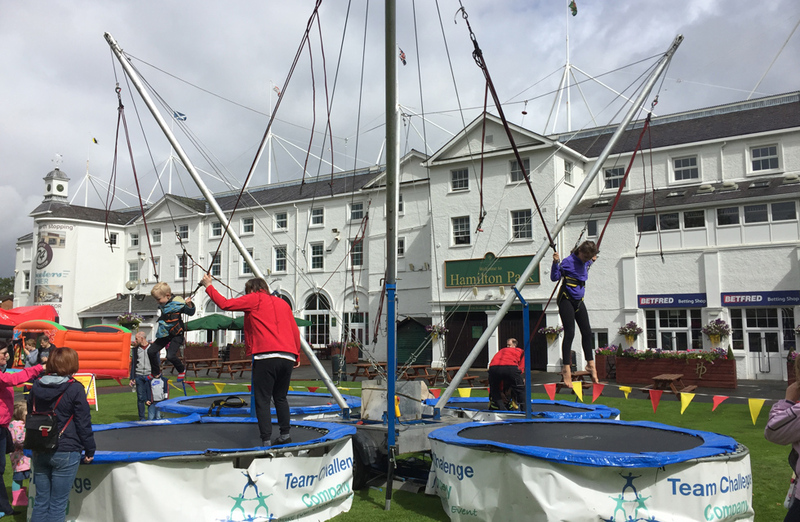 Guests reached new heights almost touching the sky on the bungee trampolines, bouncing as high as they could. From the top they were able to see all the activities available on the day. 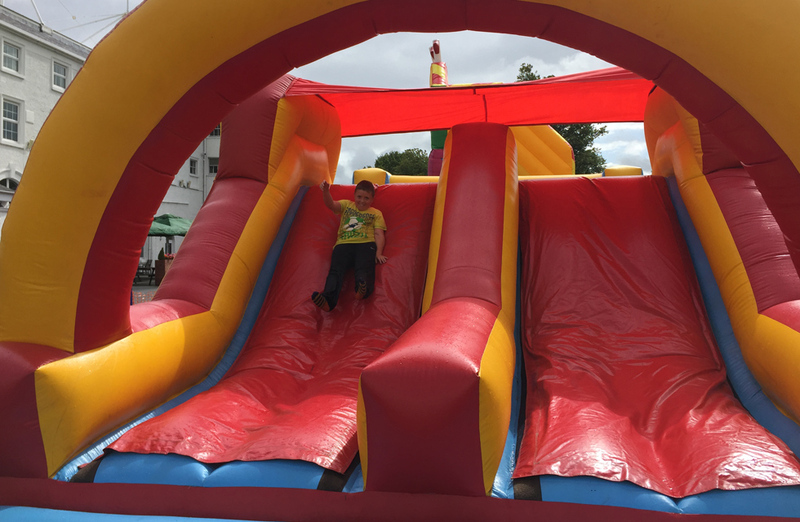 The giant candy slide was also a big hit as guests braved the climb to the top to slide back down. It was a long way down and was a blast for all that joined in. 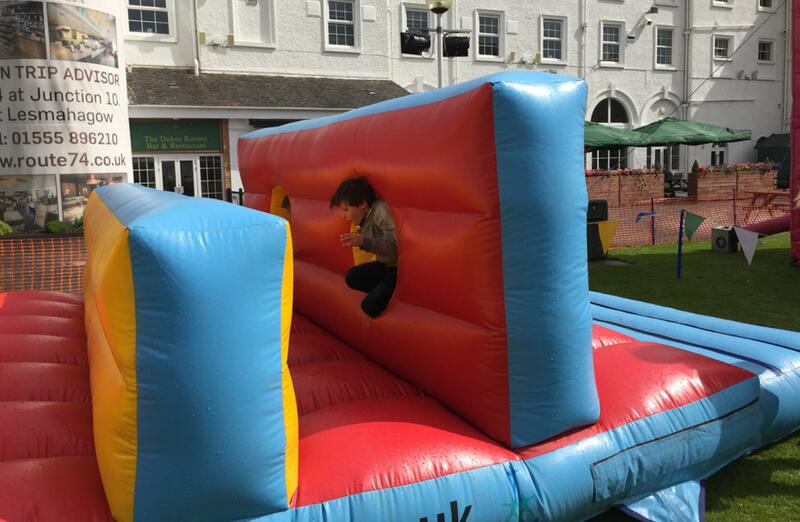 There was fun to be had in our superhero bouncy castle as kids jumped as high as they could and enjoyed playing in the ball pool. 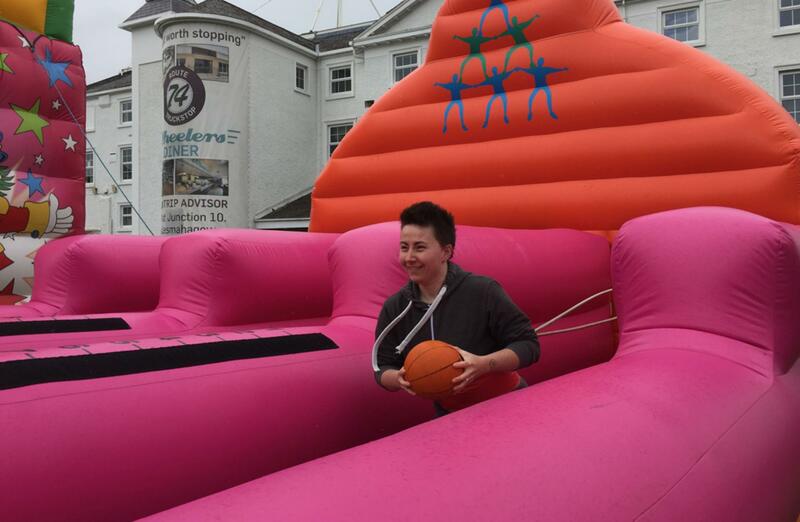 Bungee run basketball brought out the professional athletes as guests done their best to score as many hoops as possible before being pulled back by the bungee, taking part in their own competitions against family and friends. An archery competition was held throughout the day, resulting in many stepping up to the plate to aim for the bullseye. The crowd watched to see who would come out on top as the ultimate champ of Archery. However, this wasn’t the only the only competition of the day as friends and family members raced their way through the obstacles of the assault course in a mad dash to be the first to the finish. 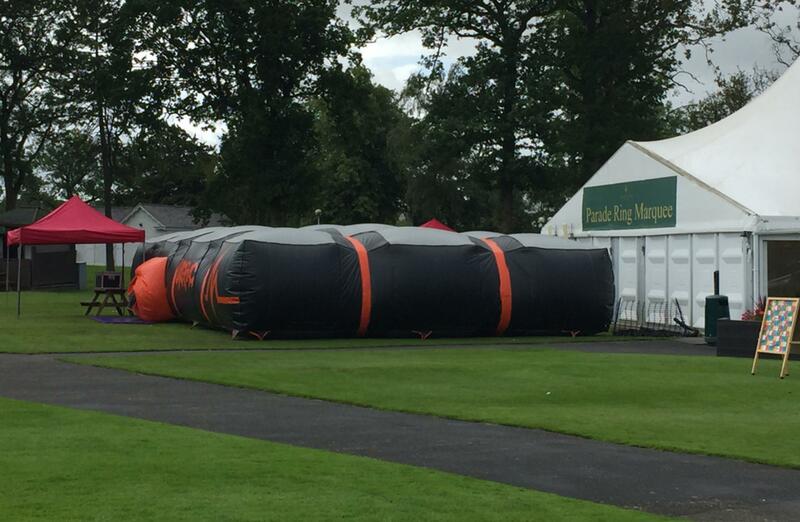 Guests stepped into the laser tag inflatable, ready to take on their mission, aiming to have the most points by the end, dodging other players and using their aiming skills to destroy all enemies. 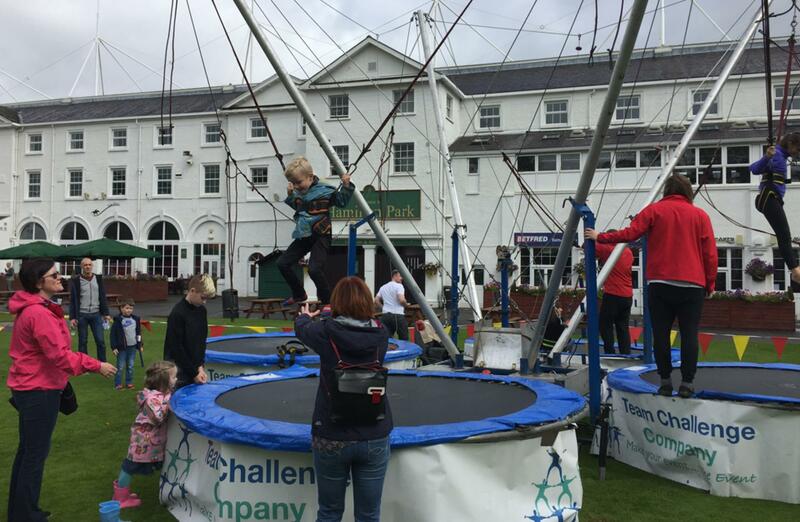 Despite the dreary weather, many guests braved the rain to enjoy the activities outside. 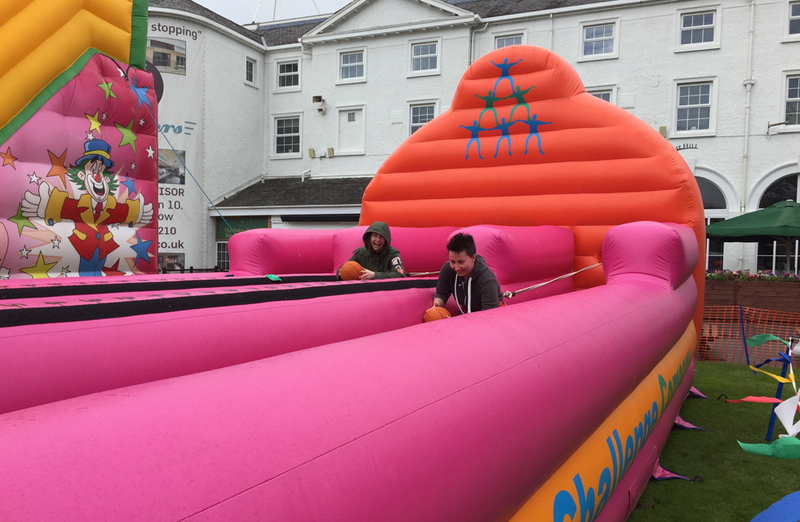 For those that wished to remain dry, there was a variety of activities available indoors and they were still able to enjoy the music and the food on offer throughout the day. An arts and crafts table was set up inside for guests to sit and let their imaginations run wild, creating masterpieces that could be put in their gallery at home. The sports simulator allowed amateurs and enthusiasts to show off their sports skills and perfect their kicks on the big screen as they aimed to beat the goalie, the crowd watched at the sidelines, patiently awaiting their chance to shine, all hoping that they were the ultimate sportsman of the group. 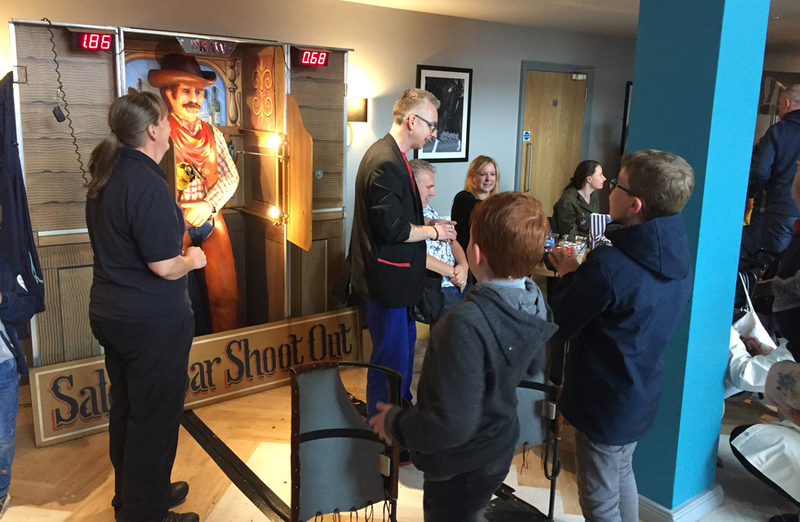 Guests were flooded with childhood memories of playing cowboys when it came to the wild west shoot out, fighting hard and testing their shooting skills to defeat the cowboy before he got you first. A magic show was also held inside and wowed the guests as they watched his tricks, racking their brains to try and work out how it was done. However, a true magician never tells his secrets! The weather did not put a downer on the atmosphere as there were smiles all around. 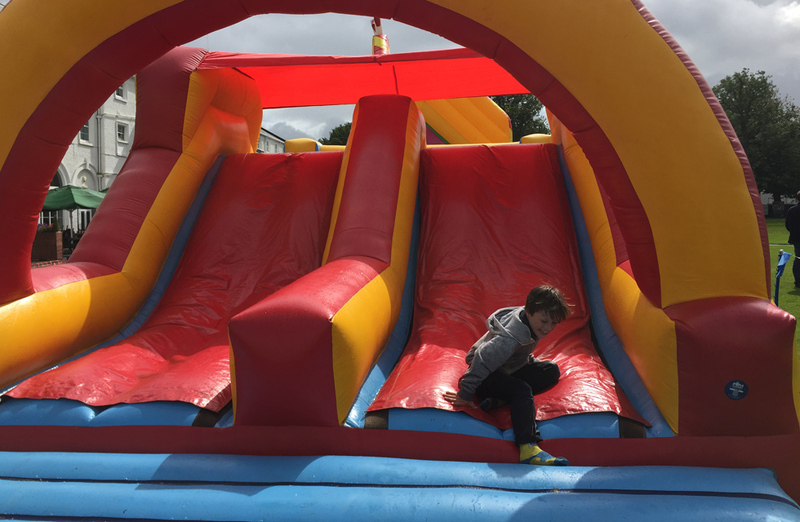 Guests had a blast, enjoying all activities outside and inside. Team challenge company would like to say a huge ‘thank you’ to Saskia for organising the event. Everyone had an amazing time and we can’t wait to see what next year holds! 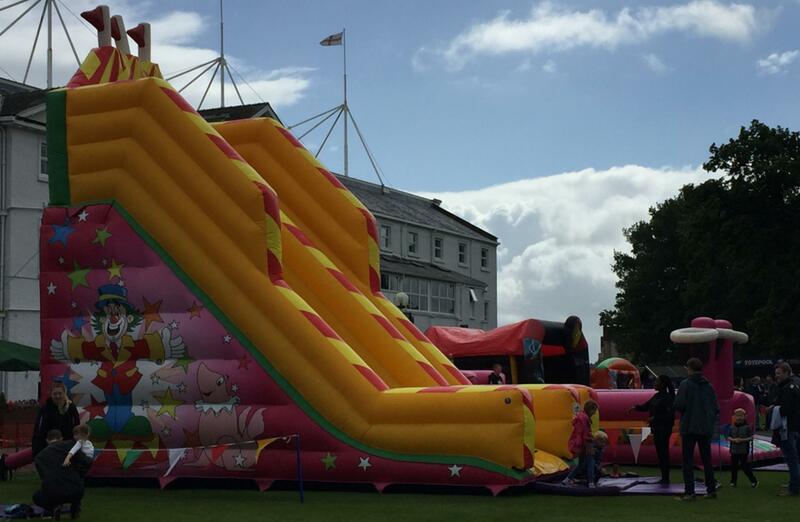 Brilliant day once again at Hamilton Park Racecourse with SAS Software, we had a great time and hope you all did too!